Have you hugged a mutt today? July 31st is National Mutt Day, a day dedicated to celebrating mixed breed dogs! As anyone who has ever owned a mutt can tell you, these guys have just as much to offer an any purebred dog and can take on a variety of important jobs such as therapy dogs, bomb-sniffing dogs, and guide dogs. 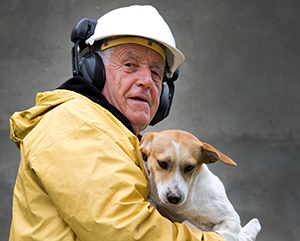 Did you know that pets can often be involved in unintentionally starting a house fire? As a knowledgeable and proactive pet parent, here are some things to keep in mind to keep your home and your family safe.